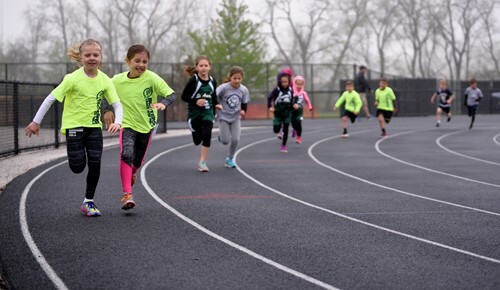 Our co-ed track team is open to children in grades K-8. They hit the ground running typically twice a week for practices, begin March 1st. Races or “Meets” are held on weekends beginning in mid-April and run through mid-May.